30% of us work more than 48 hours per week. As we try to pack more things into our day, we become increasingly stressed, overworked and tired. Most people finish their working day too exhausted to do anything much more than eat, watch TV and fall in to bed. It’s hardly a recipe for a fulfilment and it’s something that everyone wishes they could change. The Energy Equation explains how we all have the potential to get 15 hours of fully-energised waking hours from our day, and shows us just how to achieve it. 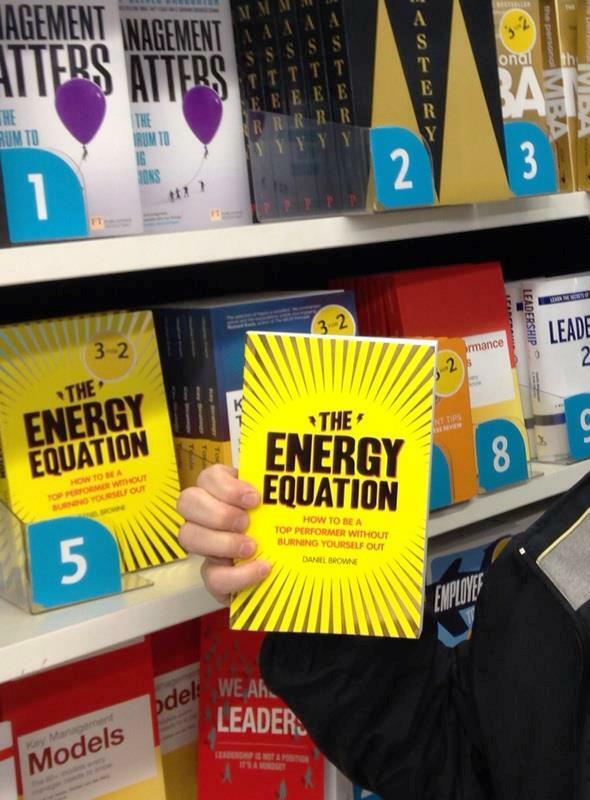 “The Energy Equation – how to be a top performer without burning yourself out” by Daniel Browne is out now. You can get a copy on Amazon.com, Amazon.co.uk or from Waterstones, Foyles and selected WHSmith‘s stores.